Alyssa Milano at the 2016 Variety's Power of Women: NY luncheon in NYC. Credit: Johns PKI / Splash News. Charmed actress Alyssa Milano and her talent-agent husband David Bugliari had their second child, daughter Elizabella, in 2014. 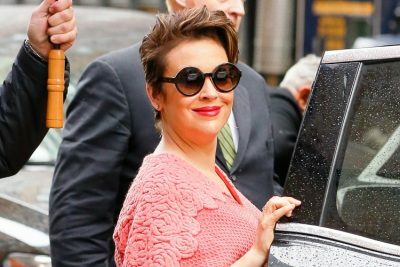 Since the latest Alyssa Milano pregnancy the 43-year-old dropped from 172 pounds to 126 pounds. Alyssa Milano’s weight loss is credited to the low-carb high-fat Atkins diet. When Alyssa Milano had her baby she began cutting out carbs and sugar, and had some success, but the last 20 pounds were harder to lose. She then did her research and noticed that the Atkins diet was similar to what she was already doing; however, the Atkins approach was just a little bit easier to follow. “I feel so much better than I did before, it’s crazy,” explained Alyssa Milano, who is known for her role in the ABC sitcom Who’s the Boss?, which aired from 1984 to 1992. “You know that feeling when you’re dieting where you stomach is growling and you’re angry and moody? Alyssa Milano’s 46-pound weight loss propelled the actress to become the spokesperson for Atkins’ “Happy Weight” campaign. Alyssa Milano also writes a weight-loss blog on the Atkins website where the actress suggests low-carb high-fat tips for Atkins dieters. Alyssa Milano at the 2016 Variety’s Power of Women: NY luncheon in NYC. Credit: Johns PKI / Splash News. What Is Alyssa Milano’s Atkins Diet? In 1972, Dr. Robert C. Atkins first promoted the Atkins diet after releasing a best-selling book about the diet. The Atkins diet is a low-carb, high-fat, high-protein diet that is often recommended for weight loss. The Atkins diet allows a maximum of 20 grams to 40 grams of carbohydrates per day, and includes an unrestricted amount of protein. However, it also allows artificial sweeteners, and caffeine. Veggies and fruit are also restricted to low amounts, which can lead to colon, liver, and kidney issues. The type of meat is not specified. In other words, processed meats with nitrates and other fillers are permitted. Throughout the years studies have promoted the weight loss effectiveness of low-carb diets like the Atkins diet. Similar diets include the Paleo diet, the Zone diet, and the ketogenic diet. That being said, the Paleo diet includes lots of vegetables and the meat should be grass-fed and organic. Studies have also found that the Atkins diet can improve blood sugar and insulin levels, HDL (high-density lipoprotein) cholesterol levels, and triglyceride levels. Low-carb diets also regulate your appetite, lower blood pressure, and treat metabolic syndrome. Foods avoided on the Atkins diet include sugar, grains, vegetable oils, trans fats, legumes, potatoes, and high-carb veggies and fruits like carrots, turnips, bananas, apples, pears, and oranges. The diet includes fatty fish, meat, eggs, low-carb veggies like kale and spinach, and healthy fats like coconut oil, avocados, and extra virgin olive oil. What does an Alyssa Milano daily menu look like? Phase 1: You start with under 20 carbs daily for two weeks, and you eat high-fat, high-protein meals with low-carb veggies like leafy greens. The process helps kick start weight loss. Phase 2: Phase 2 will slowly add some nuts, low-carb veggies, and fruit into the diet. Phase 3: When you are close to your weight loss goal, it is time to increase your carb intake until your weight loss slows down. Phase 4: Phase 4 is the maintenance stage where you can eat as many healthy carbs without gaining weight. Some of Alyssa Milano’s go-to Atkins-approved favorites in the summer include the raspberry lime fizz, sun-dried tomato deviled eggs, and the lemony chicken, shrimp and vegetable kebabs. Other favorites of Milano include kale chips, zucchini noodles, and salmon with a cucumber base. Although not a weight loss strategy, an Alyssa Milano Instagram post would suggest she is an advocate for breastfeeding. Alyssa Milano and husband David Bugliari also have a son, Milo Thomas. Milano is also known for her TV roles in ABC drama Mistresses and Fox soap opera Melrose Place. Peralta, M., “Alyssa Milano 46-Pound Weight Loss Tips & Tricks: Actress Credits Low-Carb Atkins Diet; Says Breastfeeding Didn’t Help Shed Pounds Despite being an Advocate,” Latinos Health website, January 8, 2016; http://www.latinoshealth.com/articles/15326/20160108/alyssa-milano-46-pound-weight-loss-tips-tricks-actress-credits-low-carb-atkins-diet-says-breastfeeding-didnt-help-shed-pounds-despite-being-an-advocate.htm. “Alyssa Milano Dishes on Her 46-Pound Weight Loss, Breastfeeding in Public, and ‘Who’s the Boss?’ Reboot!” Extra website, January 7, 2016; http://extratv.com/2016/01/07/alyssa-milano-dishes-on-her-46-pound-weight-loss-breastfeeding-in-public-and-whos-the-boss-reboot/. Leight Smith, D., “How Alyssa Milano Lost 46 Pounds,” Eat This, Not That! website; http://www.eatthis.com/alyssa-milano-weight-loss, last accessed July 22, 2016. Lynch, R., “Actress Alyssa Milano: Why Low-carb is the only diet that works for me,” Los Angles Times website, March 19, 2016; http://www.latimes.com/health/la-he-alyssa-milano-20160319-story.html. Gunnars, K., “The Atkins Diet: Everything You Need to Know (Literally),” Authority Nutrition website; https://authoritynutrition.com/atkins-diet-101/, last accessed July 22, 2016.